Launch Editor Editor Designed For Desktop Use Easily design and create your own custom eBay Auction Templates. Build your professional quality template from scratch or edit existing free templates all with our easy to use word processor style interface. Browse Templates Over 720 Free eBay Listing Templates & Auction Designs! 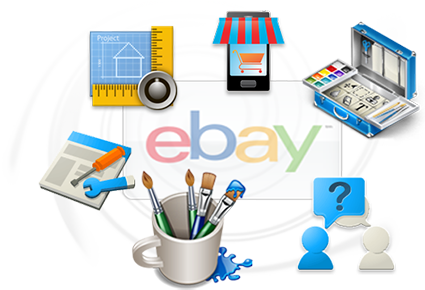 Use our eBay templates as a fast and easy way to improve your visibility and increase your eBay listings sale potential. All our templates are customizable. Goto Generator Use our eBay listing template generator to quickly create your own custom auction template. Our generator takes the HTML coding out of the design process yet is fully customizable with our powerful one-of-a-kind point-and-click CSS builder. Browse Help Stuck in the design process, browse our extensive collection of how to and walkthrough videos and copy and paste demos. Easy to follow instructions will get up and running with little to no prior coding knowledge. Have a question, just ask!